Did you know that Goodwill wants to recycle your electronics, too? The organization that strives to help people reach their full potential through education and skills training does more than just take your old clothes and resell them. Goodwill Electronics is another branch of the nonprofit organization, and today we’ll find more about what it does. Goodwill seeks to meet the needs of all job seekers, including those involved in programs for youth, seniors, people with disabilities, veterans, and people with criminal backgrounds. In 2015 only, Goodwill assisted more than 312,000 people in their career training for industries such as banking, IT and health care, to name a few. The organization also offers services as English language training, additional education, or access to child care and transportation. Goodwill is also a friend of the environment, trying to divert as much waste away from landfills and towards recycling centers. You can now drop off all of your working or non-working electronics at any Goodwill Donation Centre location. They accept laptops, PCs, tablets, cell phones, televisions, radios, used batteries and more (see full list below). If your electronics cannot be resold through the Community Stores, Goodwill safely recycles valuable components for the manufacturing of new products. Whether you are a business trying to get rid of larger quantities of electronics or an individual person, Goodwill Electronics can help you out. All you have to do is contact their recycling team to get started. You can be part of Goodwill’s initiative of turning electronics into jobs. Electronic waste – commonly referred as e-waste – is one of the fastest growing sectors in the solid waste stream. In spite of the fact that almost 100 percent of e-waste is recyclable, we continue to fail in raising the recycling rate of e-waste to satisfying levels. We currently recycle only about 13% of e-waste. Recycling e-waste means we can recover constituents such as plastics, metals, and glass. Find out more facts about e-waste and tips on how to reduce it. E-waste currently represents more than 3% of America’s trash in landfills. At the same time, it accounts for 70% of overall toxic waste. People dispose of 20 to 50 million metric tons of e-waste worldwide every year. Cell phones and other electronics contain valuable amounts of gold or silver. Americans throw away phones containing over $60 million in gold/silver annually. We can recover 35,274 lbs of copper, 772 lbs of silver, 75 lbs of gold, and 33 lbs of palladium for every 1 million cell phones that are recycled. According to the Environmental Protection Agency (EPA), e-waste is still the fastest growing municipal waste stream in America. Manufacturing a single computer and monitor takes 530 lbs of fossil fuel, 48 lbs of chemicals, and 1.5 tons of water. In 2014, developing countries became dumping grounds for about 41.8 million metric tons of e-waste. Not only does this practice create a dumping problem, but it also wastes resources to transport the electronics around the world. Electronic items considered hazardous include TVs and computer monitors that contain cathode ray tubes, LCD televisions, LCD desktop monitors, plasma televisions, portable DVD players with LCD screens, among others. Do you have working, unused or non-working electronics just sitting around at home? You can donate them to Goodwill and be sure they won’t end up in the landfill. Electronics that are still working will be refurbished and resold in Goodwill’s Community Stores. And there’s hope for the items which have reached the end of their lives, too. Recycling turns your e-waste into jobs and diverts more trash from landfills. At the same time, Goodwill Electronics can also help your office get rid of outdated laptops, PCs, photocopiers, phone systems, cell phones, or television sets. Goodwill can recycle around 90% of their component parts, while some electronics can get ‘wiped,’ refurbished and reused. Due to space constraints at Goodwill’s Donation Centre locations, the organization requires you to contact the Recycling Team beforehand, for the best coordination of office electronic donations in bulk. What does it mean that Goodwill ‘wipes’ all electronic devices before reselling them? It means your personal data from computers, cell phones, tablets, and so on will be permanently deleted to make them suitable for resale. The organization recommends you remove all personal data from the devices you donate before handing them over to Goodwill. But you needn’t worry about your personal data ending up in the wrong hands. Goodwill also wipes all the devices per the “Guidelines for Media Sanitization,” as published in the National Institute of Standards and Technology Special Publication 800-88r1. Then, Dell performs intensive third-party audits to ensure the organization follows the strictest standards. If your donated device does not have resale value, Goodwill recycles it. Refurbished computers, however, are equipped with Microsoft Windows operating software and sold at Goodwill’s retail stores at an affordable price. 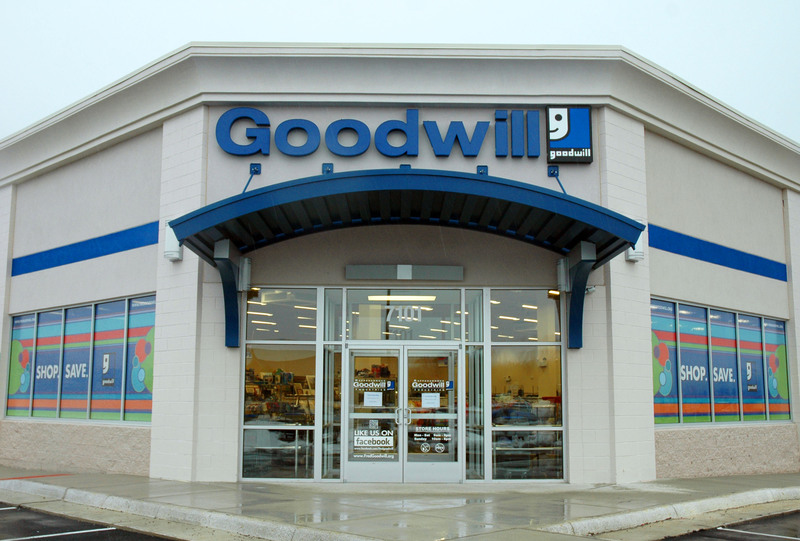 Goodwill heavily rely on your donations of out-of-date workstations and devices. To make it even easier for you to participate, Goodwill has partnered with Dell’s Reconnect program to recycle household electronic wares responsibly. A residential computer recycling program, the Goodwill-Dell collaboration offers convenient and planet-friendly recycling of computer equipment. All you have to do is drop off items at a participating Goodwill donation center. Is Donating My Old Computer Worth It? Think of it in these terms: One working computer donated to Goodwill is worth 5.3 hours of career counseling. To the person receiving the counseling, your old laptop is more important than you know. Not to mention the fact that electronic products contain valuable resources and materials, all of which require energy to mine and manufacture. If you donate or recycle your consumer electronics instead of throwing it away, you conserve our natural resources and reduce air and water pollution.